Sorry, this is kinda late, our power went so I had to wait until I could stick this online. Lately, I've been wanting to redraw some of the background people just to show off the designs more cause of them are kinda interesting. 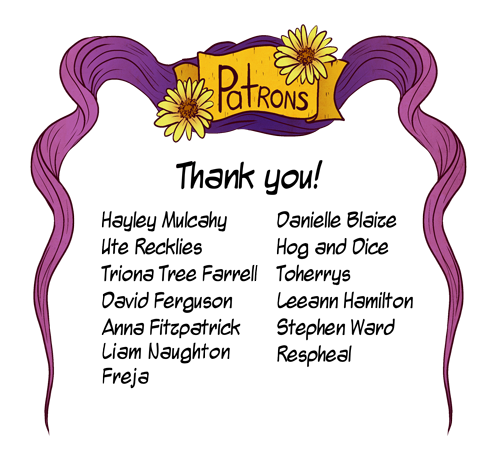 Big thanks to Liam for becoming a Patron! Published on March 15, 2018 by Anthea West.